Scorpio threatens Mr. Bont while Homer stands in the background completely oblivious. "I did not learn everything I need to know in kindergarten"
Everyone parachutes into the living room, except Homer who falls flat on the floor. "You Only Move Twice" is the second episode of The Simpsons' eighth season. It first aired on the Fox network in the United States on November 3, 1996. The episode, based on a story idea by Greg Daniels, has three major concepts: the family moves to a new town; Homer gets a friendly, sympathetic boss; and that boss, unbeknownst to Homer, is a supervillain. Bart, Lisa, and Marge each have individual secondary storylines. It was directed by Mike B. Anderson and written by John Swartzwelder. The episode title is a reference to the James Bond film You Only Live Twice, and many elements of the episode parody the Bond films, with a character modeled after Bond making a cameo appearance. Setting the second and third acts in a new town, Cypress Creek, required the animators to create entirely new layouts and background designs. Albert Brooks, in his fourth Simpsons appearance, guest stars as the voice of Hank Scorpio, who is one of the most popular one-time characters on The Simpsons. The episode was very well received by critics and IGN named "You Only Move Twice" the best episode of the eighth season and Albert Brooks as one of the best guest stars in the history of the show. Waylon Smithers is offered a job at the Globex Corporation. When he refuses, the offer is passed down to Homer, the next-longest-employed individual at the Springfield Nuclear Power Plant. He informs his family that the new job pays better and provides free health-care for the family, but involves moving to Cypress Creek. 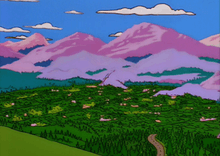 The Simpson family originally opposes the move, but after they watch a promotional video about the planned community, they agree that it is much better than Springfield. Abandoning their house, the Simpsons pack up and leave town. Shortly after the Simpsons arrive at their new house in Cypress Creek, they meet Homer's new boss, Hank Scorpio, who is very amiable and seems like the perfect boss. After giving Homer a tour of the company, Scorpio tells him that his job is to motivate the employees in the nuclear division. Meanwhile, Bart starts school, but he finds that his new class is far above the standards of Springfield Elementary. When his teacher discovers that Bart cannot read cursive writing, he places him in a remedial class, much to Bart's shock. Lisa goes for a nature walk and discovers that she is allergic to all of the plants around Cypress Creek. Marge tries to go about her daily chores, but the house does everything automatically. This ends up depressing her to the point where Marge starts drinking a glass of wine to cope with her depression. However, Homer does an excellent job motivating his team in the nuclear division, and productivity increases by 2% thanks to his skills, which makes his family very proud of him. Another time was when Homer was in Globex Headquarters trying to get something from a vending machine, Scorpio has managed to capture a secret agent named Mr. Bont, who is attempting to stop him in his tracks. Scorpio intends to have Bont killed with a laser, but Bont uses a coin to free himself from his restraints before attempting to flee. However, Homer, who is unaware of events and believes that Bont is a 'loafer', easily knocks him down, allowing Scorpio's soldiers to shoot the agent. A proud Scorpio happily thanks Homer for a job well done. For the town of Cypress Creek, the animators had to design entirely new backgrounds. The writers sought to give every family member their own story. The writing staff spent some time arguing over whether to include in the episode the depressing idea of Marge becoming an alcoholic. There was originally another involving Grampa Simpson, wherein he is left behind in Springfield and receives recorded greeting phone calls. The plot went on for four sequences, all of which were cut from the episode for time constraints but later included in the DVD release. Cypress Creek was called "Emerald Caverns" during most of production, but the name was changed because the writers felt that "Cypress Creek" had more of a "Silicon Valley" feel. The show's writers did not worry too much about perfecting Scorpio's lines because they knew Brooks would rewrite or ad lib new ones. Entire parts of Scorpio's dialogue, such as his hammock speech, are Brooks's lines and not the writers'. Dan Castellaneta described how, after he prepared something for Homer to say in response to Brooks's new Scorpio lines, Brooks would deliver totally different lines in the next take. Josh Weinstein said Homer's reactions are exactly like someone talking to Albert Brooks. In all, his recordings amounted to over two hours in length. 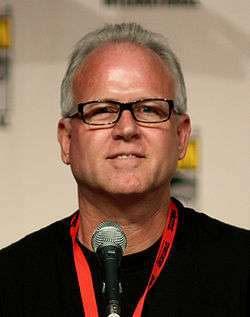 Brooks voiced the character Russ Cargill in The Simpsons Movie and for "about a week", he was to reprise the role of Scorpio, but the staff felt that creating a new character was a better idea. The animators needed to design completely new sets for the episode. Christian Roman, John Reiss, and Mike Anderson storyboarded the episode. In the original animatic, Santa's Little Helper and Snowball II were not present, so the animators went back and added them, even though they are not a part of the story. It is a common misconception that Scorpio's design was modeled after Richard Branson, which it was not. The final design, which underwent an overhaul, was hailed by the writers as "the perfect madman". All of the students in Bart's remedial class were initially given hair modeled on Ralph Wiggum's, but the staff felt that the children looked "kinda troubled", so their designs were altered. The man whom Homer tackles, Mr. Bont, was initially supposed to just be James Bond, but Fox, concerned about a lawsuit, would not let them use it. The writers went with "Bont" because they felt it was the most similar name that they could legally use. The final scene at Globex contains several references to action and James Bond films. The episode title and many references are from the Bond film You Only Live Twice, as well as an allusion to A View to a Kill. 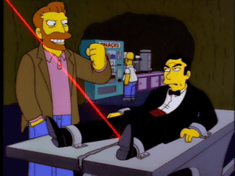 A character modeled after Sean Connery's Bond is tackled by Homer and killed after a parody of the laser scene from Goldfinger. Mrs. Goodthighs from the 1967 James Bond parody Casino Royale makes an appearance in the episode and can be seen attacking a character modeled after U.S. Army general Norman Schwarzkopf. The sign at the elementary school displays "http://www.studynet.edu". Weinstein called it "one of the show's most obviously dated jokes" because the idea of a school having its own website was almost a novelty in 1996. The song at the end of the show, written by Ken Keeler, is a parody of various Bond themes. Keeler originally wrote it to be three seconds longer and sound more like the Goldfinger theme, but the final version was shorter and the lyrics were sped up. The writers wanted the song to be sung by Shirley Bassey, who sang several Bond themes, but they could not get her to record the part. At the start of the episode Smithers is singing "I work for Monty Burns" to the tune of Guys and Dolls. Hank Scorpio is arguably the most popular Simpsons character voiced by guest star Albert Brooks. Hank Scorpio is arguably the most popular Albert Brooks-voiced character. 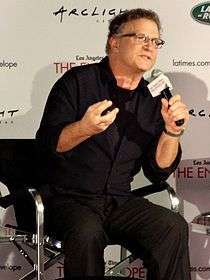 In 2006, Albert Brooks was named the best Simpsons guest star by IGN, who cited Scorpio as his best role. The Phoenix.com compiled their own list, placing Brooks in the first position. In his book Planet Simpson, author Chris Turner says Brooks is second only to Phil Hartman among Simpsons guest stars and that "Brooks brings hilarious satirical seamlessness to Scorpio's paradoxical nature". He also writes that the delivery of Scorpio's final line seals Brooks's place in Simpsons history. The Simpson family's new street address, 15201 Maple Systems Road, is writer Ken Keeler's favorite street name in the show. IGN also named the episode the best of the eighth season, saying the episode "is a wonderful example of slowly building up the comedy [...] it's impossible to fathom this one not being very high up on any list of the best Simpsons episodes of all time." Robert Canning gave the episode a "Masterful" score of ten out of ten, saying the episode "may well be the greatest Simpsons episode of all time. In my book, it's at least tied," with "Marge vs. the Monorail". Warren Martyn and Adrian Wood, the authors of the book I Can't Believe It's a Bigger and Better Updated Unofficial Simpsons Guide, called it "a tremendous episode" saying it had "some really good moments, most of them involving Bart, Lisa, and Marge's loathing for Cypress Creek. The remedial kids are fab (especially Warren) and Lisa's second chipmunk encounter is inspired. Scorpio is a good character, especially his Christopher Walken-esque killing spree." They also stated that the owl grabbing the chipmunk during Lisa's trip to the forest is one of the all-time greatest sight gags in the show's history. Chris Turner would also say that the remedial boy Gordy's line may be "the broadest parody of a Canadian accent in the history of American pop culture". Ben Rayner of the Toronto Star included "You Only Move Twice" on his list of the best episodes of The Simpsons. In his review of The Complete Eighth Season DVD set, Raul Burriel described it as one of the "most clever episodes the series has ever given us." In its original broadcast, "You Only Move Twice" finished 50th in ratings for the week of October 28 – November 3, 1996, with a Nielsen rating of 8.5, equivalent to approximately 8.2 million viewing households. It was the second highest-rated show on the Fox network that week, following The X-Files. ↑ "You Only Move Twice". The Simpsons.com. Retrieved 2011-09-21. ↑ Richmond & Coffman 1997, p. 212. 1 2 3 Martyn, Warren; Wood, Adrian (2000). "You Only Move Twice". BBC. Retrieved 2007-03-27. 1 2 3 4 5 6 7 8 9 10 11 12 Weinstein, Josh (2006). The Simpsons season 8 DVD commentary for the episode "You Only Move Twice" (DVD). 20th Century Fox. ↑ Weinstein, Josh (2006). The Simpsons season 8 DVD commentary for the Deleted Scenes (DVD). 20th Century Fox. 1 2 3 4 Keeler, Ken (2006). The Simpsons season 8 DVD commentary for the episode "You Only Move Twice" (DVD). 20th Century Fox. 1 2 Castellaneta, Dan (2006). The Simpsons season 8 DVD commentary for the episode "You Only Move Twice" (DVD). 20th Century Fox. ↑ Anderson, Mike B.; Dean Moore, Steven; Moore, Rich; Silverman, David (2007). Audio Director's commentary (DVD). 20th Century Fox. 1 2 3 Anderson, Mike B. (2006). The Simpsons season 8 DVD commentary for the episode "You Only Move Twice" (DVD). 20th Century Fox. ↑ Goldman, Eric; Iverson, Dan; Zoromski, Brian. "Top 25 Simpsons Guest Appearances". IGN. Retrieved 2007-03-25. ↑ "The Simpsons 20 best guest voices of all time". The Phoenix.com. 2006-03-29. Retrieved 2007-03-10. ↑ Goldman, Eric; Dan Iverson, Brian Zoromski (2006-09-08). "The Simpsons: 17 Seasons, 17 Episodes". IGN. Retrieved 2007-03-25. ↑ Canning, Robert (2009-08-04). "The Simpsons Flashback: "You Only Move Twice" Review". IGN. Retrieved 2010-07-14. ↑ Turner 2004, p. 50. ↑ Rayner, Ben (2007-05-20). "Eye on Springfield". Toronto Star. Retrieved 2008-11-19. ↑ Burriel, Raul (2006-08-28). "DVD Review: The Simpsons — The Complete Eighth Season". The Trades. Retrieved 2008-11-19. ↑ Bauder, David (November 8, 1996). "ABC roars into 1st behind 'Lion King, Drew Carey Show'". The Florida Times-Union. p. D-2. Wikiquote has quotations related to: "You Only Move Twice"
"You Only Move Twice episode capsule". The Simpsons Archive.